One of the best ways to explore Swaledale and its spectacular scenery is on foot, and we are happy to provide our guests with route maps for the many circular walks which start from Park House, ranging from 2-12 miles. These include the Keld loop, the Muker circular and the Ravenseat round, and we also have maps which can take you further afield to Tan Hill, Gunnerside or Reeth. Visit www.wildcardwalks.co.uk to see details of some local walks including professional photos taken along the way. Cycle the ‘Swale Trail’, a 12 mile easy going mountain bike path created along the length of Swaledale. We have several top of the range Mountain bikes for hire with all day hire charged at £25 which includes maps and all safety equipment. Availability is strictly limited and on a first come first basis so please book early to avoid disappointment. In 2014 The Tour de France passed within two miles of Keld, therefore why not try completing part of the course taking in the infamous Buttertubs Pass. 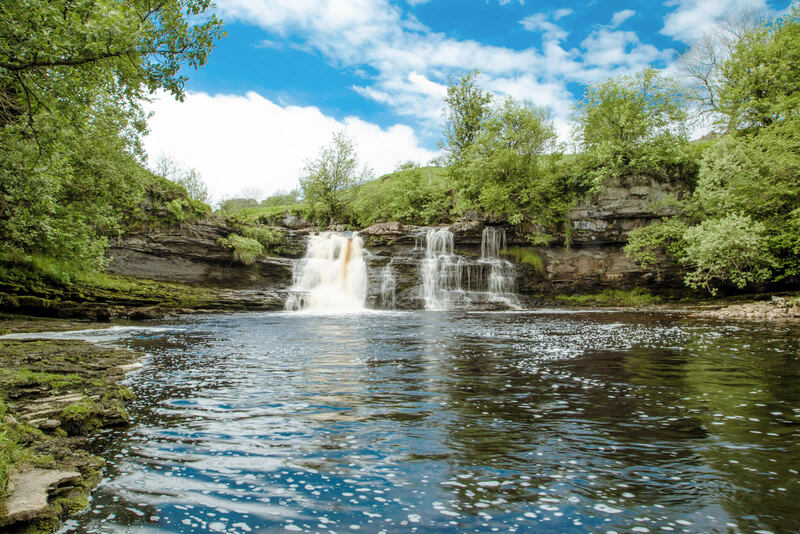 Take a short walk to visit the numerous stunning waterfalls in the area and under the right weather conditions the River Swale offers several great spots for wild swimming. On site we have our own private waterfall called Rainby Force, at the bottom of which is a large swimming hole, plus Wainwath Falls and Kisden Force also have their own pools and are just a short walk away. Please be aware that slippery rocks, deep cold water and strong currents make wild swimming potentially dangerous and should only be attempted by strong swimmers under the right conditions and so is done entirely at your own risk and we cannot accept any liability for any injury's which may occur. During your stay you may see kayakers going over the falls right outside your front door or at certain times of the year look out for brown trout jumping up the waterfall as they migrate upstream and wild otters swimming in the river or playing on the banks. From May to October, International Trialist Richard Fawcett gives brilliant weekly sheepdog demonstrations just outside of Hawes. The show is geared for all the family with lots to keep both old and young entertained. Richard gives an introductory talk on local farming history, the area, the sheep, and his dogs. The action is interspersed with more interesting information and anecdotes and concludes with an opportunity to ask questions. There’s also an opportunity to watch Richard and his dogs in a working environment showing flock work, a typical sheepdog trial, young dogs at various stages of training and ability, and two dogs working together. For time and prices please visit www.sheepdogdemo.co.uk. The beautiful Wainwath Falls, standing below the limestone cliffs of Cotterby Scar, are just a 2 minute walk up the road and are well worth a visit. In the summer the deep waters make this a popular swimming hole and a great spot for a picnic at any time of year. From May to October, International Trialist Richard Fawcett gives brilliant weekly sheepdog demonstrations just outside of Hawes. The show is geared for all the family with lots to keep both old and young entertained. Richard gives an introductory talk on local farming history, the area, the sheep, and his dogs. The action is interspersed with more interesting information and anecdotes, and concludes with an opportunity to ask questions. There’s also an opportunity to watch Richard and his dogs in a working environment showing flock work, a typical sheepdog trial, young dogs at various stages of training and ability, and two dogs working together. For time and prices please visit www.sheepdogdemo.co.uk or ask at reception for further details. 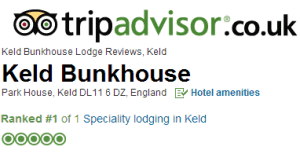 Subject to availability we can arrange for a local beautician to provide beauty treatments in the bunkbarn during your stay. Please contact us for further details and prices and be sure to book early to avoid disappointment. Hawes is just a 20 minute drive away and is a bustling market town with many interesting shops, craft workshops and cafes. You can also visit the National Park visitors centre and close to Hawes is Hardraw Force, England's highest single-drop waterfall. Just a 25 minute drive away is Kirkby Stephen in Cumbria’s upper Eden valley. It’s a traditional market town of historic buildings, cobbled yards, quaint corners and interesting shops and also has a station where you could board the train on the famous Carlisle to Settle railway line. Just a 35 minute drive away is Barnard Castle, a lively and bustling market town, with regular markets, speciality shops, restaurants, bars and tea rooms. The town is steeped in history and you can take a tour of the castle or take a trip to the widely acclaimed Bowes museum. A little further afield and just a 45 minute drive will take you to Richmond, a beautiful market town, with Norman castle, Georgian architecture, cobbled market place, monuments and abbeys.